Today’s employees have a variety of work styles that organizations must keep up with – from desk centric users to remote and on-the-go workers. Each employee needs different devices to suit their unique work styles. 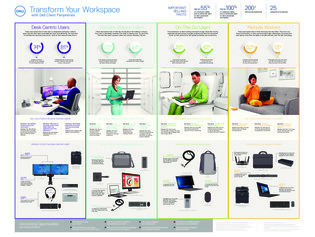 Check out this infographic to see which devices are best for each style of worker in your organization and how the right devices can enhance productivity and collaboration.